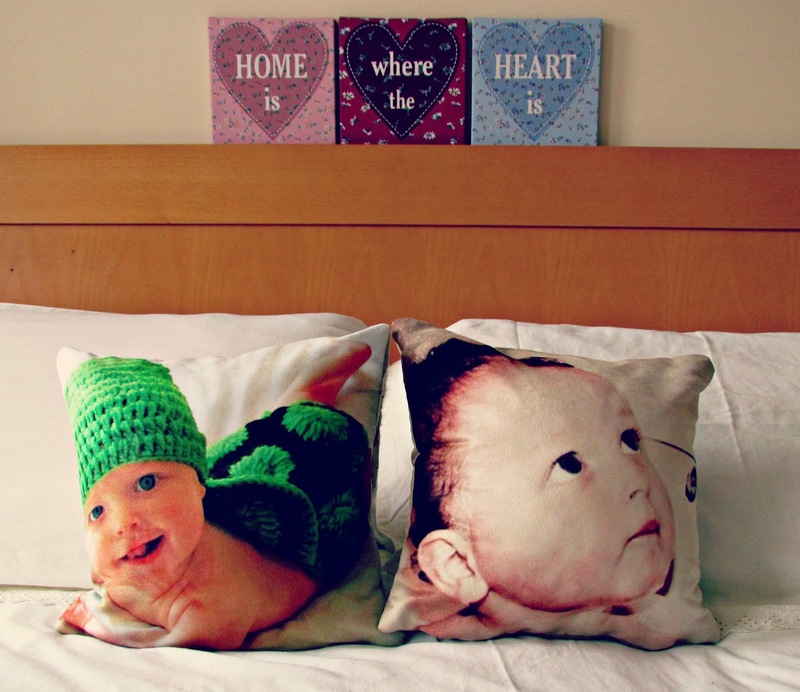 These personalised pillows my father got Tyler Lee for his birthday, aren't they adorable looking? He got these from Photo Panda and they're lovely, very good quality and the print is fab. The coverings are made from suede and are super soft. Such a unique birthday gift! 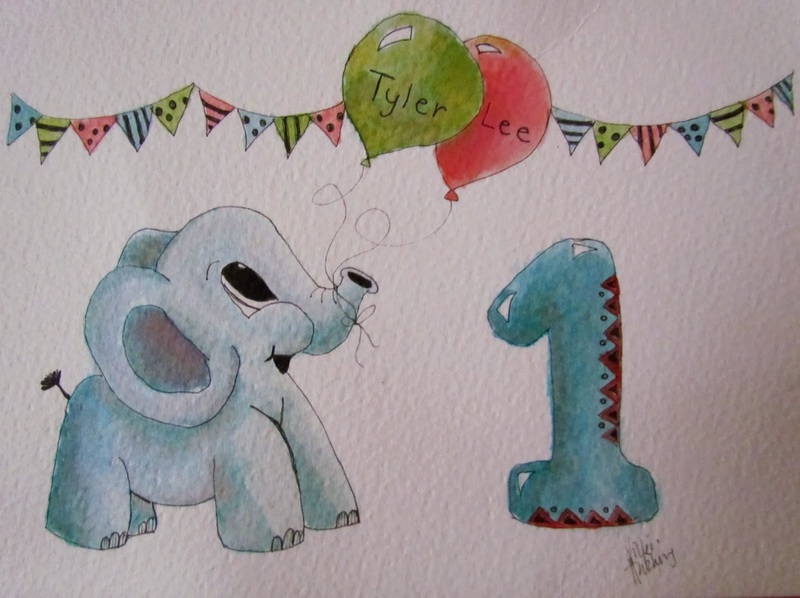 This hand-drawn birthday card for Tyler Lee from the lovely Vicki from Chloris Boris. I love this little doodle and it was Tyler Lee's first birthday card ever. It's now sitting proudly on our mantlepiece. 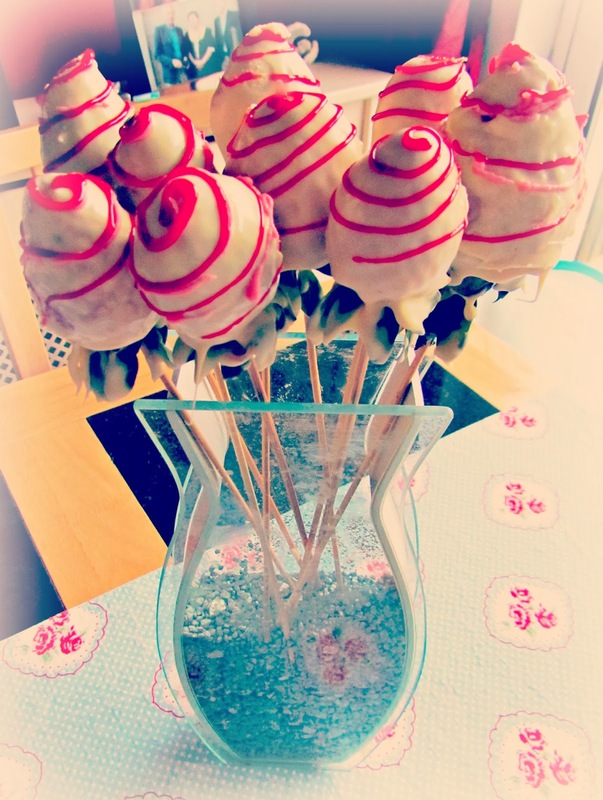 These edible roses which I made on Wednesday afternoon to test out for St. Valentine's Day. They were delicious and Tyler Lee loved them too! This Guava Body Butter by Korres. My hands are so dry in this weather so I've been using this to try and get them back to tip top condition. The smell of this reminds me of a summer holiday, it is amazing and the scent is noticable all day long which is an element which I love when it comes to skincare products. Decorating my home with postcards. I used to be an avid postcard collector (I've got over 2,000 over them!) and received gorgeous cards over the years with all kinds of art, illustrations, angels, etc. 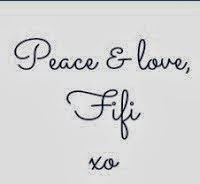 I've been putting these on my bedroom wall and in frames, very cheap but beautiful decor for my home. Post to come on this soon! Natural hair. I'm taking a break from the hair dryer and straighteners and going all natural. I love how my hair looks when it dries naturally. It has a gorgeous defined wave which looks even better when I apply some mousse to it. Winning giveaways. I've won two giveaways lately, one on Twitter and one on Facebook. My Twitter prize came wrapped up beautifully in classic brown paper and some candy cane looking string, so charming! This and my other prize shall be revealed at the end of the month. Hopefully my luck lasts and I win some more lovely things. The pillow are the cutest! 2 giveaway is pretty impressive, I love wrapping like that, I wouldn't want to open it it looks that good. Wow lucky you! I love the brown paper packaging, it looks so retro. What are the edible roses made of? Any chance you can share a secret how to make them? I love the little elephant!! Oh wow edible roses, how amazing! I have been loving excitement! Literally, excitement is keeping me going! Great post! Thanks for joining the Friday's Fab Favorites link up, I'm a co-host this week and I'm trying to read every post! Those photo pillows are amazing. I have to look into that for dog photos! Have a great weekend! Thank you for stopping by Tori! I love the pillows, such a thoughtful gift. Have a great weekend you too!